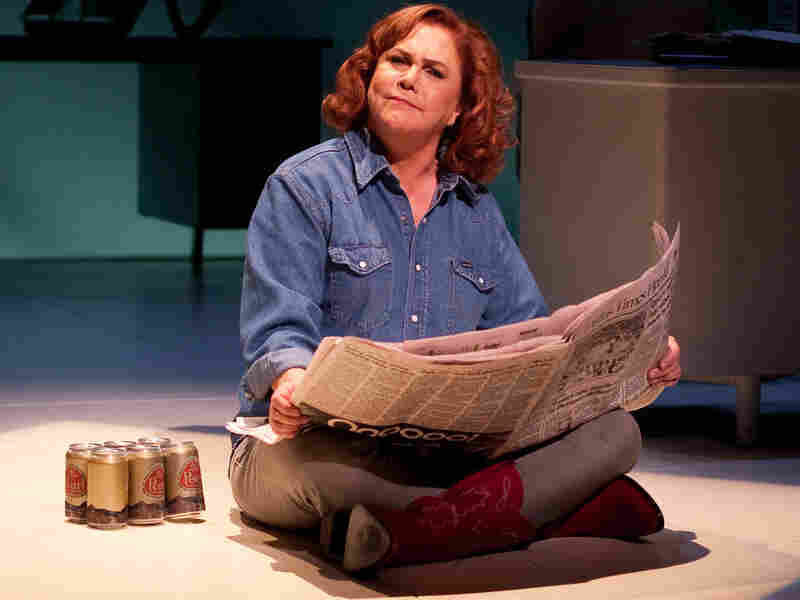 Kathleen Turner Channels Molly Ivins In 'Red Hot Patriot' Academy Award nominee and Golden Globe winner Kathleen Turner stars as the sassy Texas newspaper columnist in the comedic one-woman show. Turner talks about the role, her career and the challenges of playing a political character. Kathleen Turner stars as Molly Ivins in Red Hot Patriot. Academy Award nominee and Golden Globe winner Kathleen Turner stars in the play Red Hot Patriot. In the one-woman show, Turner plays the sassy newspaper columnist Molly Ivins, whose liberal wit first drew attention during her coverage of the Texas Legislature in the 1970s. Hundreds of newspapers subscribed to Ivins' nationally syndicated column, where she was known for making fun of politicians and criticizing presidential action. The show uses many of Ivins' own words and quotes from her columns to tell the story of her life. Ivins died of breast cancer in 2007 at age 62. Turner says that although she did not seek out this role, "knowing [Ivins] and knowing what she stood for, that made it irresistible," she tells NPR's Neal Conan. Turner talks about the role and the challenges of playing a political character. "I'm here because I planned it this way, to be doing Molly right up until the elections, to have her voice out there, you know? But I would say that when it comes to more fictionalized pieces of theater — Who's Afraid of Virginia Woolf? or other performances that I have done — I don't think that I have to necessarily agree with the character's values." "Molly is a liberal, absolutely, and believes very much in liberal values and believes in the community and the rightfulness of the American people. But more than that, she speaks of the responsibility and the right of being a citizen. And what I would hope and ... what I try ... to do in many ways is to galvanize people a little to become more active." "It's lonely up there. I mean, at least, what I can do, what I do get to do, is really engage the audience as sort of a part of the show. "Now, it's a lot of fun playing with other actors, but you kind of pretend, of course, there's that fourth wall. So you sort of don't even acknowledge the people out there looking in. You just concentrate on the people you're on stage with. So I don't have that luxury. But the audience gives me enough to play with."